Disclosure: This post is based on a real life experience. Company names have been changed to protect the innocent. The company that is the focus of this post and that committed the hereinto described major social media / local marketing blunder is not a bad company. They excel at what they do, and appear to have a decent amount of business, but I think they could improve their social media / local marketing. They certainly try hard and come really close on their marketing efforts, but in marketing, often “close” isn’t good enough. It doesn’t matter if you’re only 5 minutes late or 5 hours late when your cruise ship has already left the dock. When you miss the boat, you miss the boat. And this company, that is so good at what they do, missed the boat on promoting their business and getting more business! Is your company making this same local marketing blunder? California requires cars to pass a smog test every two years to renew their vehicle registration. Our family has two cars that require smog checks on alternating years, so I end up needing to get a smog check every year. For many years, I went to the same gas station (which I will call Smog Check Provider #1) that always had a $10 off coupon in a local weekly mailer. When I started going to them, they were the best price around. I could make an appointment, but I still often had to wait thirty minutes or more for my car to be smogged. Two years ago when I called them to make an appointment, I found out they had raised their prices significantly, so I decided to check around on the internet and picked a new place that was less. The new place (which I will call Smog Check Provider #2) told me they weren’t busy, and to just stop by. They ended up taking over an hour, as I had to wait for other people who where already in line. Last year, I searched online again, and picked a different garage (which I will call Smog Check Provider #3). I made an appointment, but when I got there, the person out front said I wasn’t on the list and they couldn’t do the smog check, but told me if I came back later he’d give me $5 off. I called later to reschedule and explained what happened. I spoke to a different person who saw and told me that I actually had been on the list that day, but they have two lists, and I wasn’t on the other list? Well, I made a new appointment for the next day. I did get the smog check done, which took about fifteen minutes, but based on the appointment fiasco, I planned to try yet somewhere else next time. This year, when the smog check was due, I searched online again, and after some looking found a local garage (which for this post I’ll call Mom&Pop Smog or simply MP Smog) that was actually closer than the previous three places and had the best price I could find. I called MP Smog and their manager made me an appointment for the next morning. I got there five minutes early and they started the smog check immediately. Ten minutes later it was done. I’ve never had such a quick and efficient smog check. The manager was extremely knowledgeable and pleasant (I asked him some questions about smog checks and passing, and learned a lot). I paid for the service (still amazed by how fast and efficiently they did the smog check) and went on my way. If anyone were to ask me now where I’d recommend getting a smog check (and I’ve been to four different businesses), there is no question in my mind that MP Smog is the best place to go. Wow, was I impressed! My wife and I make our two kids mail thank you cards out after Christmas and birthdays, but I haven’t gotten a mailed thank you letter from a business in years. But Albert Pop must been raised by parents like me, and his business took the time and effort to immediately send me a thank you letter. Or even better, when the service was done, what if the manager had asked if I was happy with the service (which I was), and then based on my positive response had asked me for my email address, and then emailed the above message to me. I know it’s not the same as a mailed letter (you could still mail a formal letter as well), but with an email, I can easily click a link to make a review, but it’s impossible to click a link on a sheet of paper. To go one step further, when I was done with the service, after confirming I was satisfied with the service, the manager could have given me a card with the links to where their business could be reviewed. He could have asked me if I help them out and post an honest review on one of those sites. He could have given me (with no obligation attached of course) a $5 certificate to Starbucks to “compensate me” in advance for my time if I took the time to review them, whether I ever posted a review or not. The lesson here is that if you have an amazing business and provide great service, there’s nothing wrong with asking customers if they will post a review for you, and then making it EASY for them to do it. From what I see, many unhappy customers will post reviews, but few satisfied customers will take the time to post a review. But if you just ask (and make it easy), you might be surprised by the results. 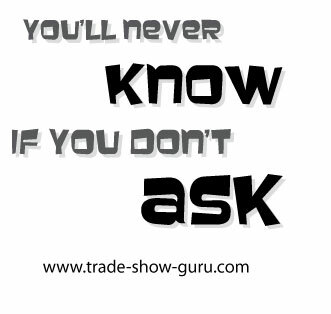 That’s another thing my parents taught me (in addition to sending thank you cards), and it’s something I try to teach my kids, “You will never know if you don’t ask.” Unfortunately, asking doesn’t seem to work with requesting a later bedtime or increases in your allowance, but it can work when you ask happy customers to review your business.